Itoshima City International Exchange Association (IIEA) started its activities as a brand new organization in accordance with the birth of Itoshima City, when Maebaru City and the towns of Nijo and Shima were consolidated in January 2010. Maebaru City International Exchange Association, the predecessor of IIEA, was established in April 18, 1997, to promote international exchange Maebaru citizens and contribute to making the city internationally and culturally more attractive. The association, run by citizens of Maebaru, had carried out various international activities at the individual-level, such as exchanges with the Gimhae Cultural Center of the Republic of Korea, and the Friendship Association with Foreign Countries in Shanghai`s Qingpu District of the People’s Republic of China. 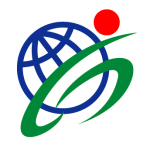 IIEA takes over those international projects and further promotes its activities to enhance the internationalism of members of the association, and to globalize the local area by communicating with foreign students at the Kyushu University and a Japanese language school in Itoshima City.